Following the release of Huawei’s GPU Turbo technology last month, the Chinese company announced that the performance-enhancing software would begin rolling out to a variety of its devices over the course of the summer. 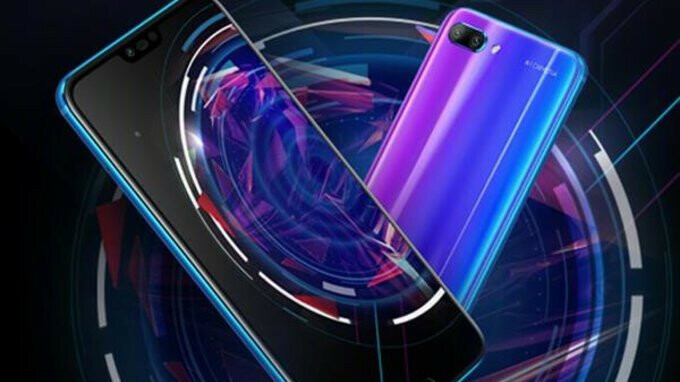 Now, however, putting an even heavier focus on the technology, Huawei’s sub-brand Honor has announced a new variant of the Honor 10 which also makes use of it. The new device, dubbed the Honor 10 GT, brings relatively few upgrades over the regular model and appears to be more of a marketing strategy aimed at promoting the gaming capabilities of Honor smartphones than an effort to offer anything new to customers. Nevertheless, the device does offer one major upgrade in the form of 8GB of RAM, which subsequently makes it the first device manufactured by Huawei to offer this amount. For comparison, the Honor 10 that was launched back in April is available with either 4GB or 6GB of RAM. Aside from the RAM count, though, everything else is identical. This means a large 5.84-inch display complete with a notch up top is once again present along with the Kirin 970 processor on the inside. Also, in terms of the camera setup, a main 16-megapixel sensor is accompanied by a secondary 24-megapixel lens on the rear, while in the selfie department, yet another 24-megapixel camera is present. As with all smartphones equipped with the GPU Turbo technology, those who purchase the Honor 10 GT can expect a performance boost of around 60% when gaming, although the extra RAM should also help improve the results even further when compared to the regular offering. It’s worth noting, however, that the original Honor 10 will also be receiving the performance software in the near future. On a final note, for those interested in the Honor 10 GT, no exact price point has been announced as of yet, although sales will commence July 24 in China. In terms of an international release, though, the Huawei-owned brand is yet to announce any details. This Gpu Turbo technology boost still seem weak to me compare to Snapdragon 6xx series.Even if there is huge graphics jump in raw performance on it then the battery efficiency will be draining fast down enough while playing at high raw power unlike SD 6xx series where there is still balance between both of them battery efficiency and performance since its a software performance upgrade with no high clock speed on midrange honor devices than real hardware upgrade on it.Will check it out how it turns out in long term benefit in battery endurance. They claim that with GPU Turbo battery efficiency improved 30%. There is no way this claim by huawei is true. If it really is possible to pump up GPU performance by 60% while increasing efficiency by 30% just through a simple Software update, it would have been inside their phones since launch date. They are doing nothing but boasting and overselling their crap. Here brands achieve GPU performance gains of 30-40% and 20-30% efficiency gains through newer architecture and newer manufacturing process and Huawei wants us to believe they did it just by software ? LOL, that's just high quality lie. Maybe it is a lie, but insisting that it is a lie without any proof is very far from scientific approach. "Honor 10 GT can expect a performance boost of around 60% when gaming" Performance boost? How did that translate to FPS increase percentage in gaming? Lets wait for a detailed review from phonearena and gsmarena. I bet it's coming soon!